We understand that your pet has become a member of the family. Pet insurance can provide you with the peace of mind knowing that you are prepared to give them the best health care possible. Pet insurance in Florida provides affordable and flexible plans to fit your pet’s needs and your budget. 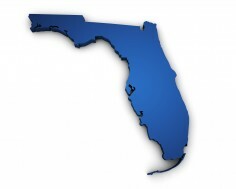 Our goal is to provide you with the area-specific health risks and concerns to dogs and cats in Florida. Understanding these health risks can help you make an informed decision about the right pet insurance plan for you and your pet. The geographical conditions and climate in Florida can affect your pet’s health. Florida’s warm and sunny climate not only puts animals at a higher risk of heat related problems, it also allows for more area specific health risks. For example, pets living in Florida are more commonly diagnosed with fleas and tapeworms (typically caused by fleas). Cats in Florida are also at a higher risk of Feline Immunodeficiency Virus. FIV, very similar to HIV in humans, is a virus that is spread through the close contact of an infected cat and can be very serious (especially among kittens). Fortunately, these common health conditions among dogs and cats in Delaware are preventable and/or treatable through routine veterinary care and pet insurance can help protect you and your pet from the increasing cost of health care associated with these illnesses. Florida’s high temperatures, sunny weather, and toxic wildlife may cause some unique health risks to your pet. Many of health risks are preventable or treatable with proper, timely health care. However, the cost of emergency veterinary care can be very expensive – for example, treating a dog for a snake bite can cost over $1,000. However, 80-percent of dogs survive venomous snake bites if they get to a vet straight away. In these cases pet insurance could save your pet’s life. ◦ Florida has a lot of dangerous local wildlife that can be dangerous for dogs and cats, such as venomous snakes, alligators and buffalo toads. These toads are highly toxic and some curious dogs will swallow them whole! ◦ The plant life in Florida is particularly hazardous as well, with large amounts of Oleander, Nightshade and Lilies all found throughout the state, and which can all be potentially fatal if eaten by pets. ◦ High levels of blue-green algae in swamp areas can be toxic to dogs. ◦ The high heat and humidity in Florida can lead to dehydration and heatstroke in dogs who are not bred for, or used to, the heat. Dogs should never be left alone in cars and should always have access to clean, cool drinking water. ◦ The cost of vet bills are very expensive when compared to pet insurance in Florida.